PulpRev: Can Steemit Revitalise Short Fiction? Can Steemit Revitalise Short Fiction? A century ago, pulp magazines were the popular entertainment of the working class. Cheap and ubiquitous, the pulps brought exciting tales of action and adventure to the everyman. Fiction was no longer the pursuit of the leisure class; it was now within the reach of regular people. And the secret was length. Back, popular fiction was much shorter than it is today. The average novel didn't far exceed 50,000 words. Short stories floated between 5,000 to 10,000 wprds. Everything in between was a short novel or novelette. Pulp magazines, jam-packed with such stories, offered multiple exciting tales for the price and length of a single novel. Being paid by the word, prolific writers with a solid work ethic could support their families solely by writing for the pulps. With proliferation came even more stories to satisfy the demands of an ever-widening audience, creating a virtuous cycle that exploded into a cultural phenomenon. Short fiction built the pulps. But today, conventional wisdom says short fiction is no longer viable. It's a given that the short fiction SFF market today does not pay well. Royalties usually float between one and a half to six cents a word, depending on the magazine's budget, or none at all. Being published is virtually impossible if you don't write about the right topics or have the right chromosomes: as Jon Del Arroz discovered, only 2.8% of female writers who submit short stories get published, and just 0.7% of men do. And most of the short fiction markets out there do not seek stories written in the pulp tradition. 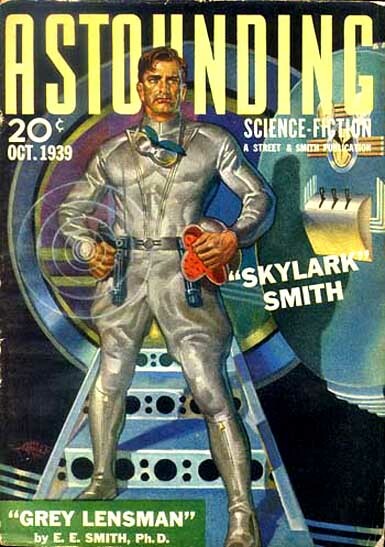 There are other magazines today that try to emulate the pulps: Cirsova, Storyhack, Astounding Frontiers. While I've heard nothing but good reviews about them, they don't publish regularly enough or pay well enough for writers to earn more than walking-around money. Lyonesse, with its subscription model, attempts to use technology to solve the problem of royalties. In effect, readers pay the equivalent price of one novel for 52 stories, plus bonuses, delivered weekly. It's a fascinating business approach, and I wish them the best, but from a writer's perspective until Lyonesse reaches critical mass it won't contribute significantly to one's income either. Being paid is critical. The promise of financial incentives drove many of the pulp writers to hone their craft and write vast numbers of stories. 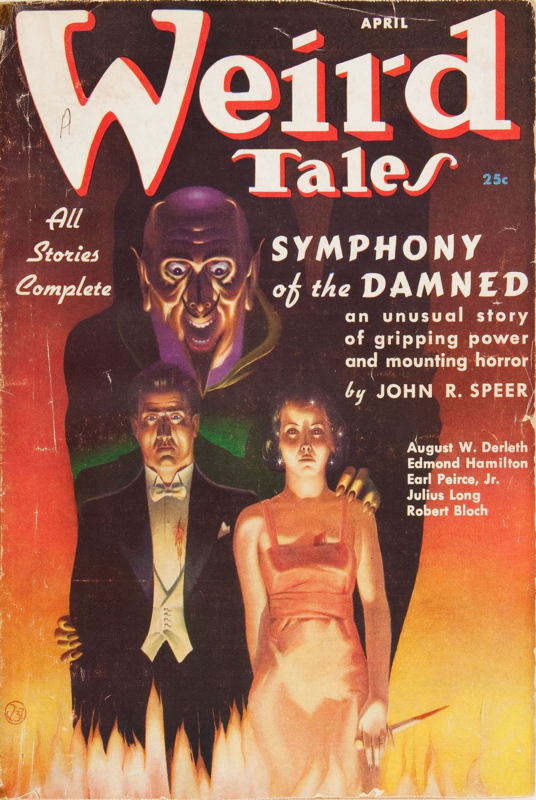 High quality and high numbers of stories attracted more readers to the pulps, in turn increasing the potential earnings for writers who serve these customers. This is where Steemit comes in. A week ago, Rawle Nyanzi discussed whether Steemit can monetise short fiction. True to the pulp spirit, Rawle has been producing lots of flash fiction online, the kind of content that seems a good fit for Steemit. However, he believes that the US tax code is presently too complex to justify the effort it takes to hop on board Steemit. Fortunately for me, I don't have such problems. Steemit lends itself well to short and serial fiction. Short fiction can be read in a single setting, and the reader can quickly decide whether to upvote it or not. Serial fiction takes full advantage of the 7-day voting window for each post: posts published in quick succession will feed into each other, allowing for a potentially higher payout. Quite fortuitously, short and serial fiction are the same kinds of fiction that built the pulps. For authors who can put in the work, Steemit doesn't just offer a platform to monetise short fiction -- it can revitalise the format. A quick look at the fiction tag will show you stories that have earned hundreds of dollars, and stories that have earned hundreds of dollars per chapter. There is significant financial incentive to be prolific and technically excellent, there is a critical and growing mass of customers, and Steemit is only getting started. I think authors who write in the pulp spirit will find Steemit an excellent platform to write short fiction, get feedback, and GET PAID. Steemit can't take the place of pulp magazines, but there is no need to. Traditional and up-and-coming magazines can focus on developing a particular genre or aesthetic, while Steemit helps authors build their brands. Steemit makes the fiction pie bigger for everyone, creating the potential to set up the virtuous cycle that led to the pulp explosion of the early twentieth century. As for myself, I'm putting skin in the game. You can find my story TWO LIVES on Steemit. I'm preparing another story for publication as well. Come 2018, I'll have more stories in the wings. I think Steemit won't just revitalise short fiction -- it'll transform it. And I'll be there to make it happen. TWO LIVES can be found here: 1, 2, 3, 4 and 5. If you prefer longer fiction, check out my novel NO GODS, ONLY DAIMONS here.